There is no substitute for home baked bread. When baking at home we can experience each magical step of the baking process. The bubbling of the yeast as it proofs and the rapid transformation of dry flour, salt, and water into an elastic mass that rises with life. We shape the bread into loaves or braids or flatbreads (or the strange masses my kids insist on baking). Once baked, the breads’ fragrant steam is intoxicating. These are the secrets of the home baker. None of these special experiences can be found in a bag of bread on a market shelf. Regretfully, my life is too full to bake all of our bread at home. While there are a few bakeries that offer excellent breads in our area, I have yet to find a great source for pita breads. 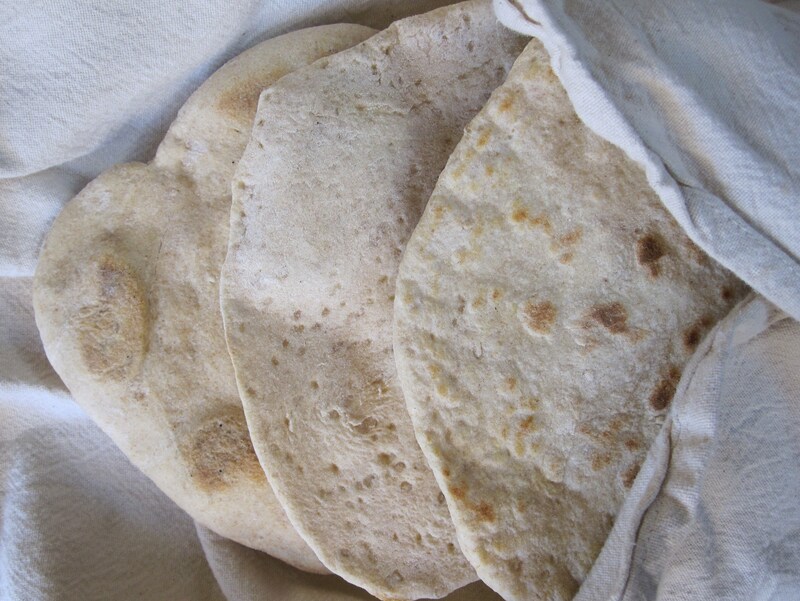 Since pita bread is so thin, it becomes stale very quickly. Most of the doughs are treated with conditioners to extend their shelf life, but in the process destroy the quality of the bread. 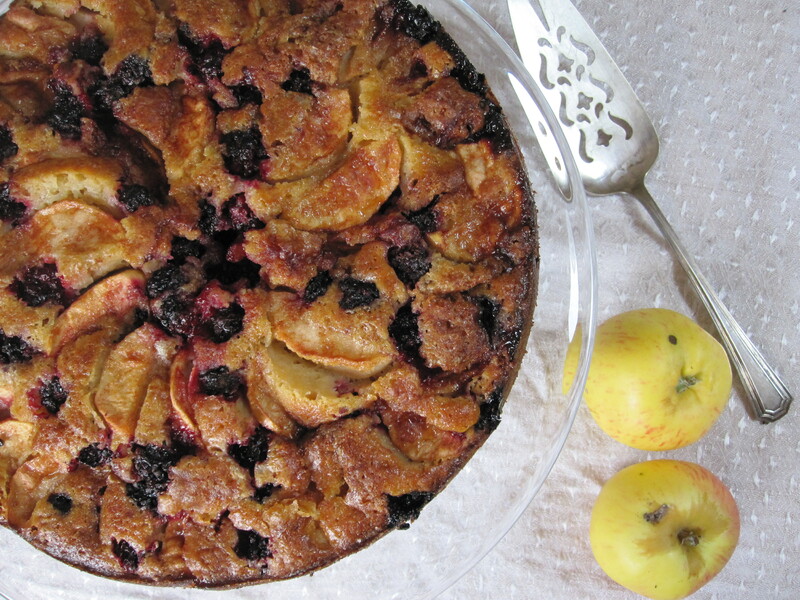 This recipe, adapted from Baking with Julia, is a perfect solution to this problem. Sesame Pita Bread eliminates the need to settle for store-bought pitas. 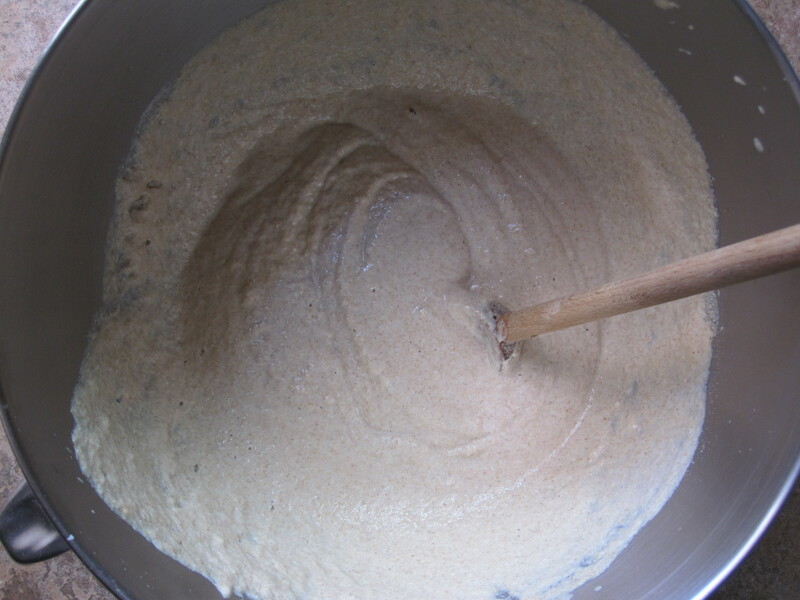 The dough is made in advance and stored in the refrigerator. Cut off pieces, shape, and quickly bake for fresh bread throughout the week. The pita is fragrant and flavorful. It yields just the right amount of chewy resistance when you bite into a piece. The sesame seeds add just a hint of flavor and texture to this otherwise plain dough. Serve the pitas on the side of any saucy dish, brush the tops with garlic butter a different twist. Slice them in half and fill with lamb, hummus and veggies, or the classic falafel. I am still searching for a fantastic falafel recipe. Please share a link below if you have one. 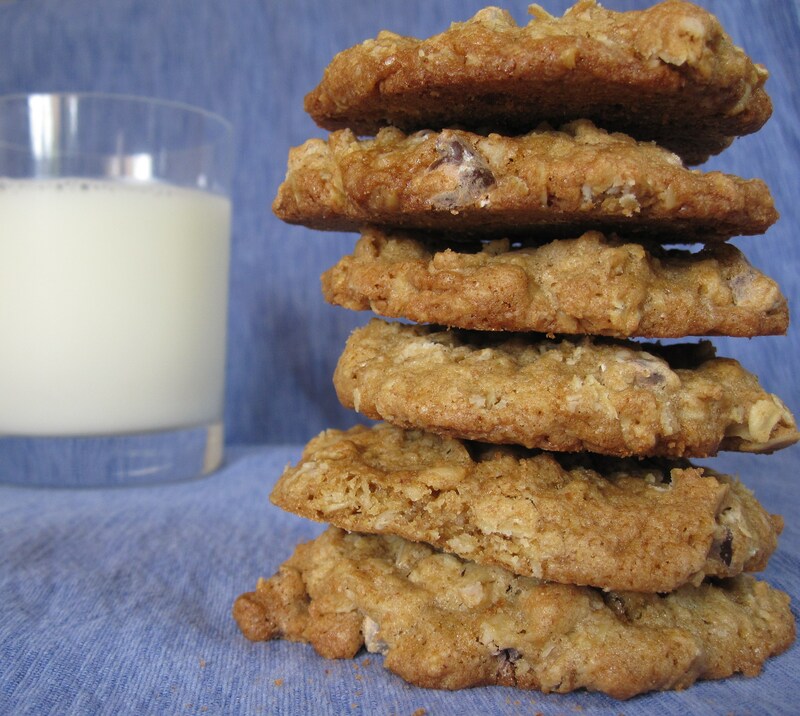 Everyone needs a go-to cookie recipe and this is mine. I have made it more times than I can remember for snacks, parties, camping trips, gift bags, potlucks, you name it. They are my favorite! Adapt it to what you have on hand by adding nuts (walnuts, pecans, sunflower seeds, etc.) or leaving them out. 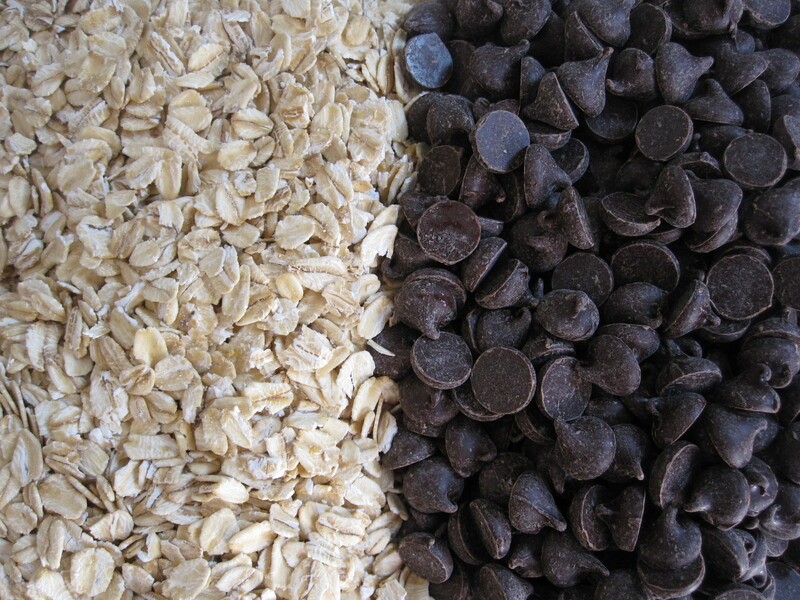 The chocolate chips can be replaced with peanut butter chips or white chocolate, but do not dare leave those out! 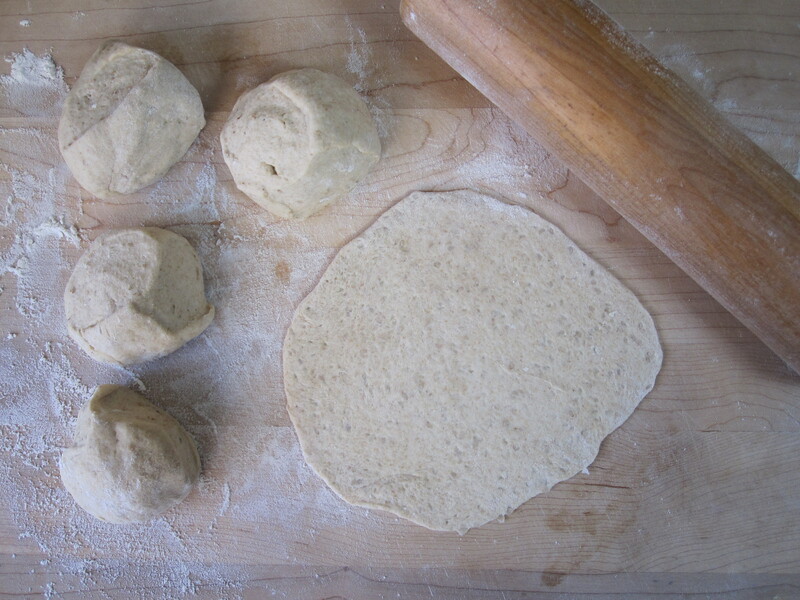 Mix up the dough, then chill it in the refrigerator until you are ready to bake them (at least two hours). You can also freeze the dough if you want to make it in advance. Portion out the dough before freezing to make it easier to use. 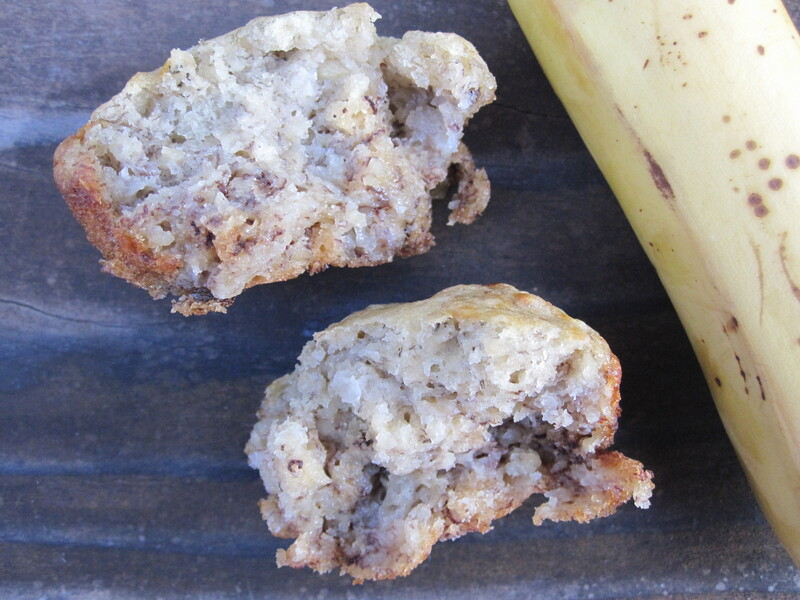 The cookies bake up slightly crispy on the outside and chewy on the inside. They are great straight from the oven, as well as days later. There is never a shortage of taste testers! This is no ordinary burger, in fact, it is quite possibly the best burger I have ever had. I know, it is a bold statement, but one spoken from the stomach heart. 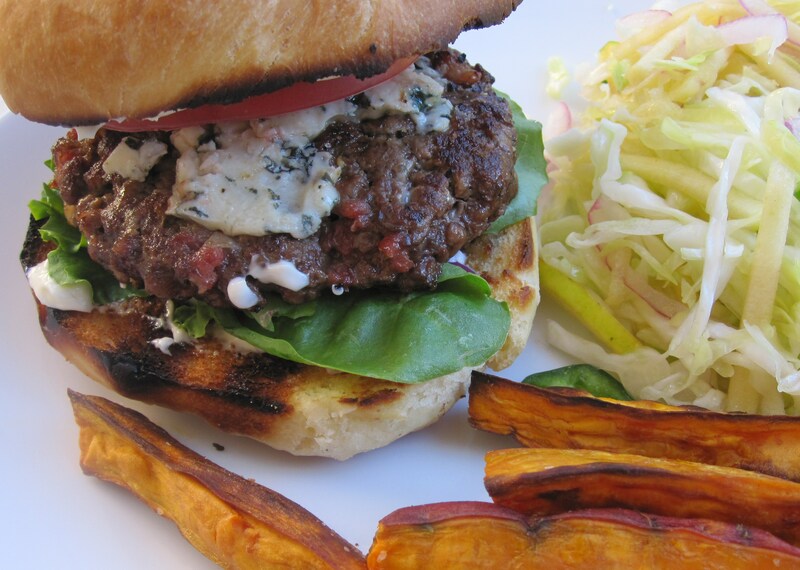 We make burgers once a month or so, usually as an easy dinner. That is how this meal began, as an answer to what to make for dinner that would be easy, popular, and satisfying. That was all well and good, until I got it in my head that I could make everything from scratch. Oh, and add bacon to the beef. Whoa. This recipe came from King Arthur Bread. They were so good that my son declared, “Mom, these are CRAZY. 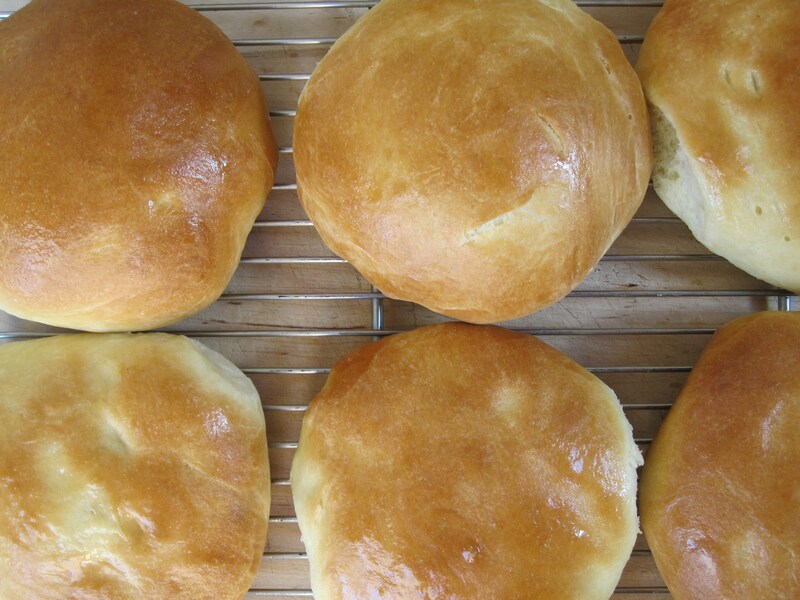 I never want to buy buns again.” (I love that my kids love to eat!) The recipe uses an egg and some butter, so the buns are very tender and hold together well under the pressure of the burger and condiments. They browned up beautifully and some extra butter brushed over the top yields a very tender top, making it easy to bite into the burger. They came together very quickly and rose through the day. 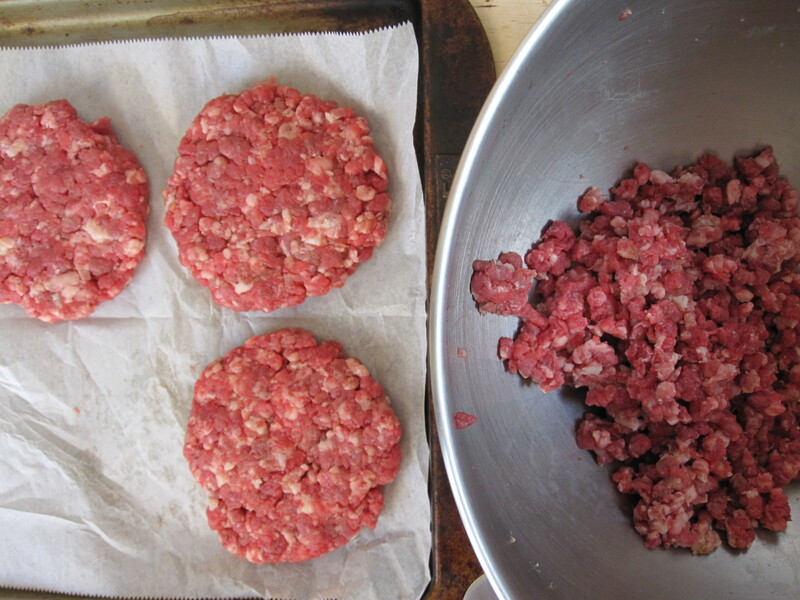 The recipe makes 8 buns large enough for 1/4 pound burgers or bigger. This is enough for two meals for my family, so I froze half of the buns for another dinner. You could also make the buns smaller and use them for sliders. They would be delicious with pulled pork. Mmmmm… We will definitely make these again. It is birthday season in our family. By some lucky roll of the dice, almost every member of our family was born between April and August. We celebrate the birth of someone every couple of weeks, usually with the a candle topped Chocolate Birthday Cake. This cake began as my own personal favorite. I, like many, am a huge fan of chocolate. I am fairly certain that my birthday cake was chocolate for at least the first 25 years of my life (perhaps longer). 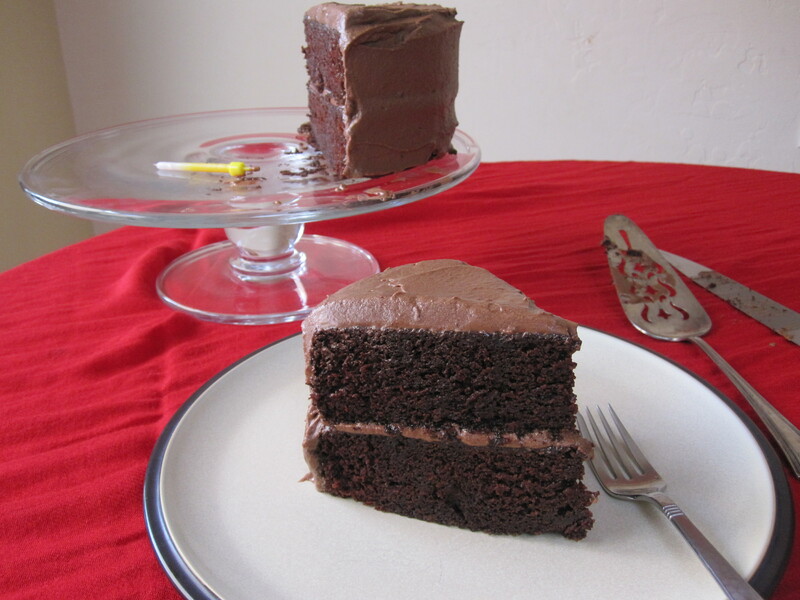 About 5 years ago, I came across this recipe for chocolate cake from Ina Garten. Since then, I have made it countless times. Imagine my delight when this cake became a favorite for my family as well! This year already, I have made it five times. In fact I have made it so much that I was reluctant when asked to make the most recent batch. I thought- Hadn’t we already eaten that cake enough this season? There are so many other good cakes to try. But then I whipped up the batter, baked the cake, and tried a sample crumb, shhhhh. This cake tastes sooo good! I would happily sign on to many more years of baking this exact cake. 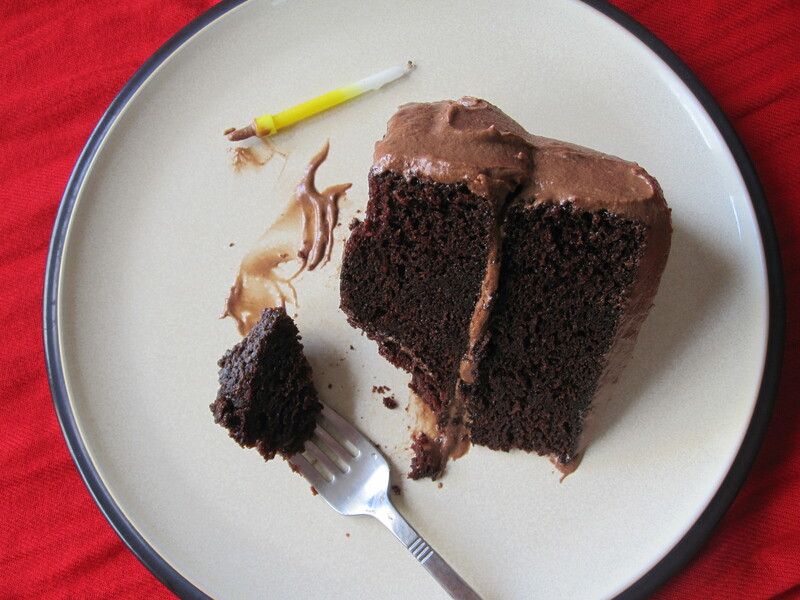 Chocolate Birthday Cake is rich, chocolately, and incredibly moist. The buttermilk gives it a pleasant tang and the last minute addition of brewed coffee deepens the delightful chocolate flavor. As with any chocolate dish, it will be as good as the cocoa you use. I prefer Ghiradelli or Scharfen Berger. The frosting choice will create the identity of the cake. Mocha Buttercream is the frosting I most often pair with the cake. I have also made it with vanilla buttercream and strawberry buttercream. Really, you cannot go wrong. This cake is absolutely decadent and delicious. The very definition of a chocolate cake. It is perfect for a birthday or any time you need a good chocolate fix. Preheat oven to 350 degrees. 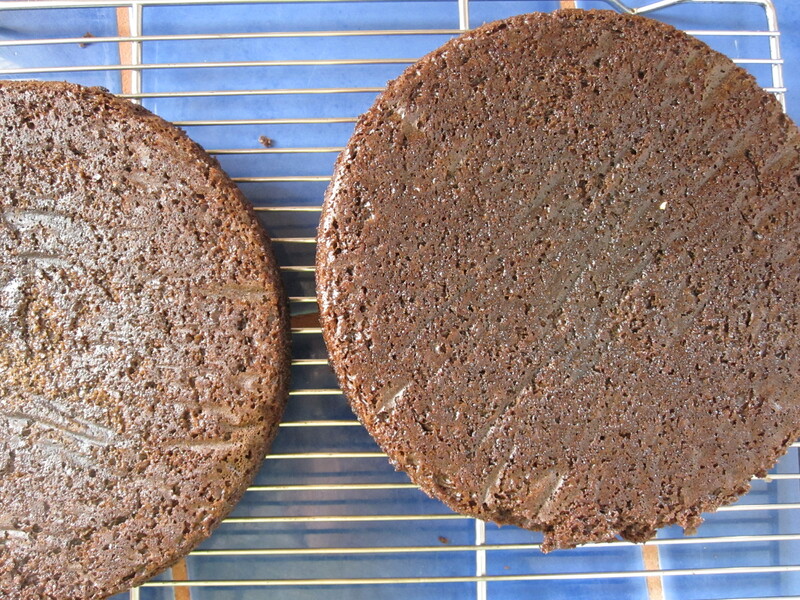 Butter 2 8-inch round cake pans. Line the bottoms with parchment. Dust pans with flour. 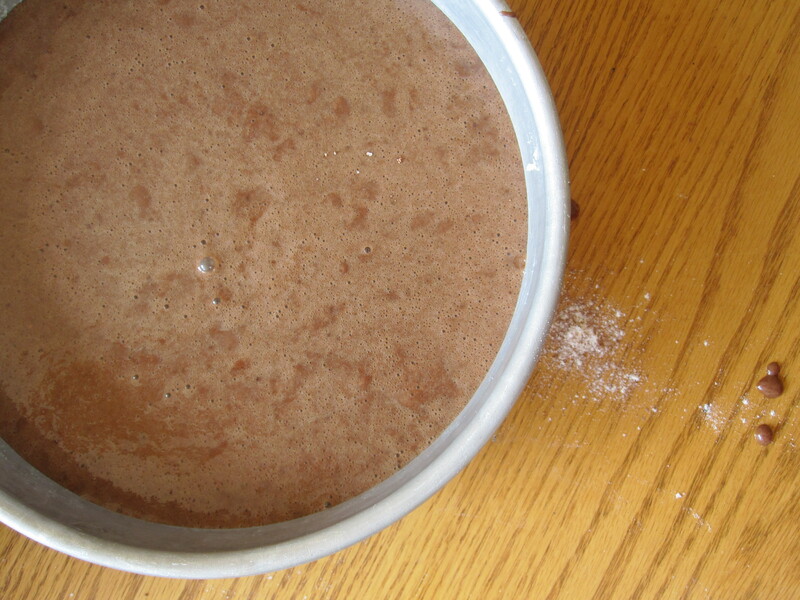 Sift together the dry ingredients into a large bowl: flour, sugar cocoa, baking soda, baking powder, and salt. In a separate bowl, mix buttermilk, vegetable oil, eggs, and vanilla. Pour wet ingredients into dry and mix until just combined. Pour in the hot coffee and mix until it is incorporated. Be sure to scrape down sides and bottom to ensure all the flour mixture is thoroughly moistened. Batter will look very thin. Pour batter evenly into the 2 prepared pans. Slide pans in the oven and bake for 35-40 minutes, until a toothpick inserted into the center comes out clean. Place pans on a cooling rack and let sit for 10 minutes. Slide a knife around the inside edge of each pan to loosen the cake, then invert onto the cooling racks. 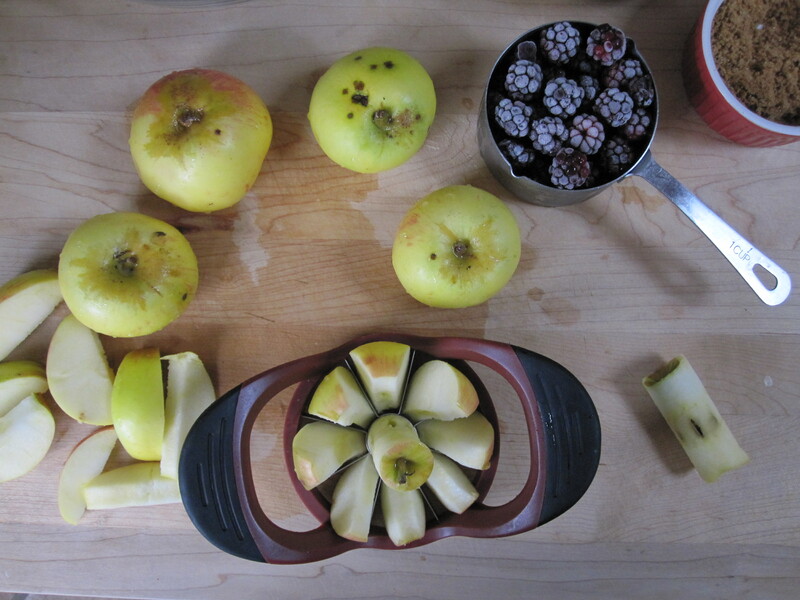 Peel the parchment off the bottom. Let cakes cool completely before frosting. Lay one layer, flat side up on your cake plate or stand. Spread a layer of frosting over the top. Place the second cake round on the frosting, flat side up. Apply a generous amount of frosting to the top of the cake. Spread the frosting over the top and down the sides. 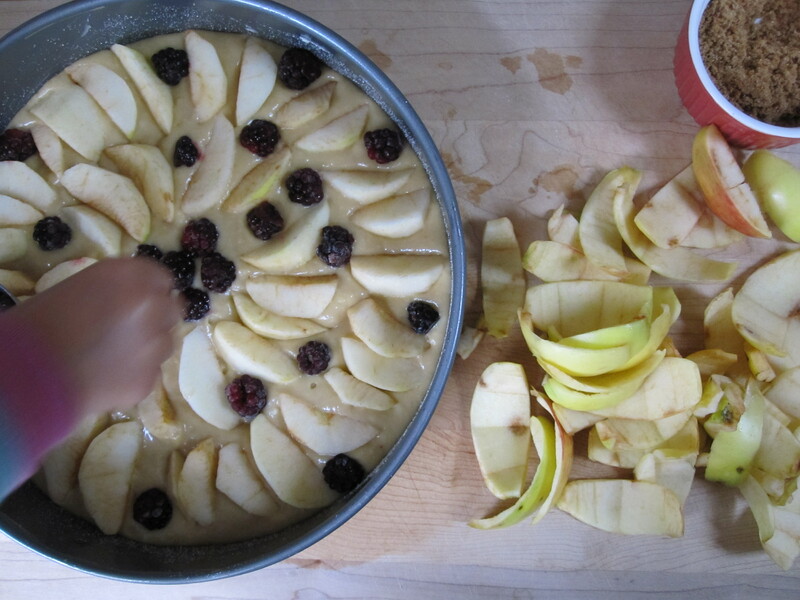 Finish by filling in any places where the cake is exposed and smoothing the top and sides with a spatula. If the frosting is too loose, put it in the refrigerator and allow it to set up before spreading. The frosted cake can be kept on the counter until ready to serve. If it is a very hot day, keep it in the refrigerator to prevent the frosting from weeping. Unfrosted cakes can be made ahead and frozen. After they are completely cool, wrap tightly in plastic and freeze for up to three months. Be careful not to place anything onto of the cakes. Even though they are frozen, then are still delicate and will crush easily. For a larger cake and crowd, you can double the recipe. I have done this successfully many times. Cream the butter. Add the vanilla and mix. 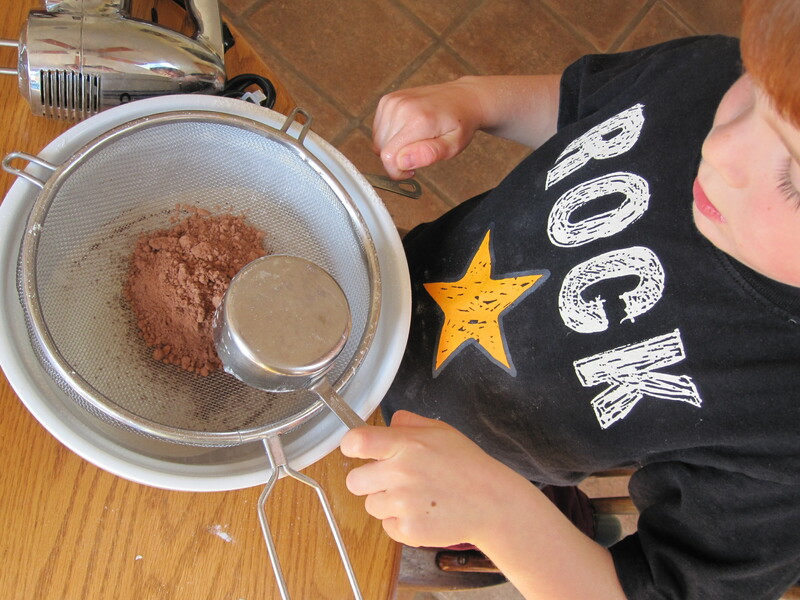 Sift in the cocoa and sugar (Do not forget to sift. If you add lumps in at this point, they are almost impossible to remove). Add the coffee and beat. It may appear curdled or separated at first. Continue beating frosting until it is fully incorporated, light, and fluffy. Spread on cake. Easter and the its accompanying sugar rush have past. Now I am left with the daunting question of what to do with three dozen hard-boiled eggs!?! 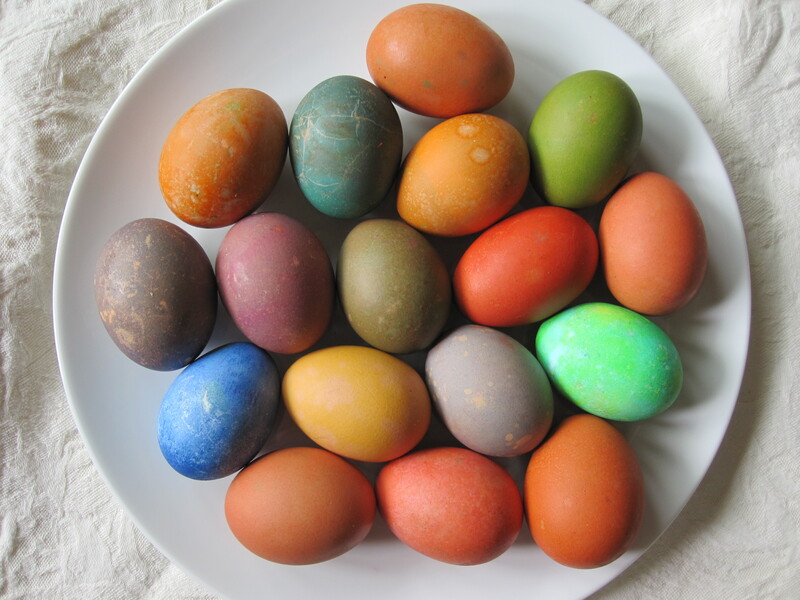 Luckily, with the exception of my son, we all love eggs. My daughter was peeling them and eating them as she hunted, but of course that only took care of 2 or 3. One of my favorite ways to prepare hard-boiled eggs is to make an egg salad. I happen to love egg salad, but admit that it can be somewhat bland at times. 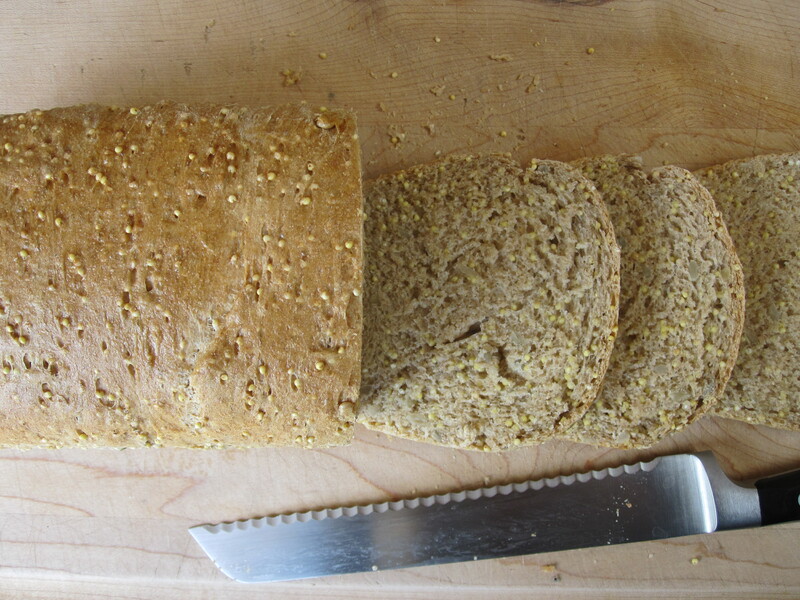 Sunflower Millet Bread is ideal for egg sandwiches, because it has so much flavor and crunchy texture. The millet toasts and pops in your mouth. It has a nutty flavor, as do the sunflower seeds. 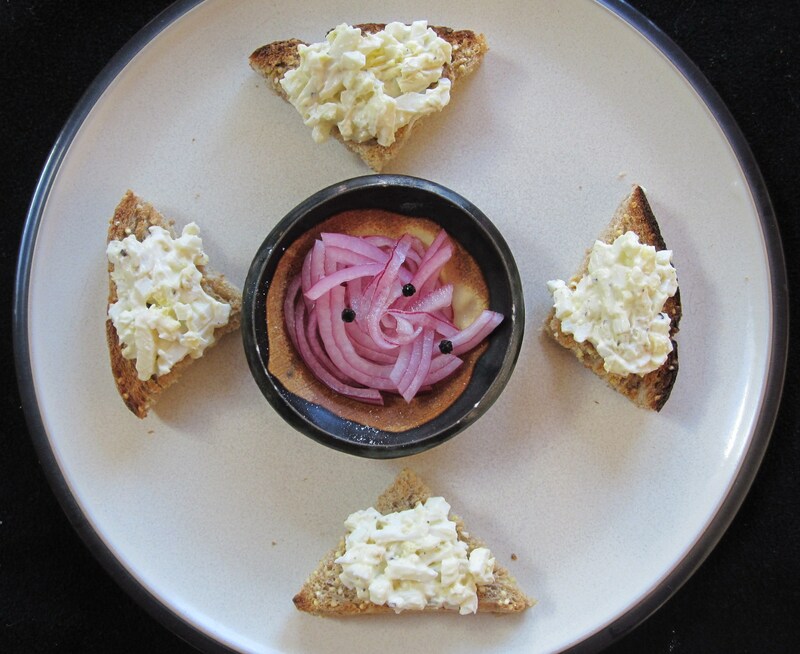 Topping the sandwich with pickled red onion adds a bright color contrast, as well as a tangy counterpoint to the egg. 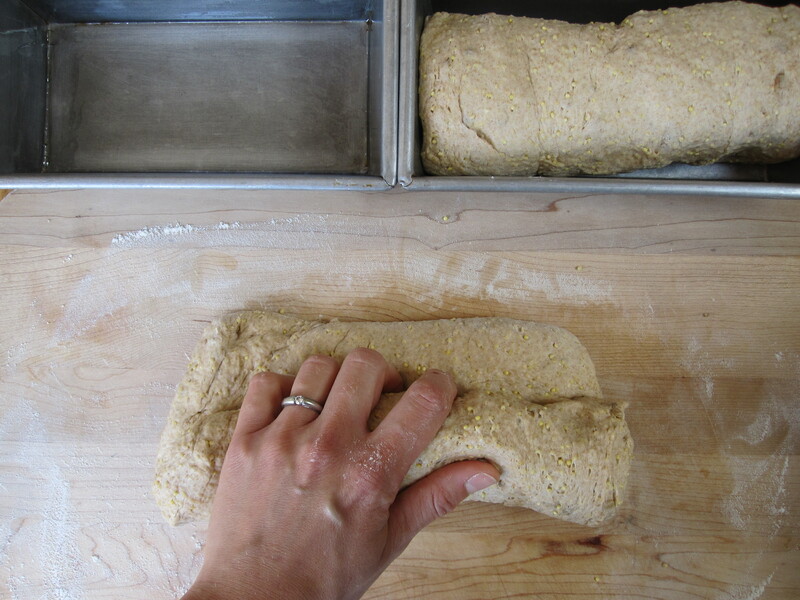 I first fell in love with Sunflower Millet Bread when working at a natural food store in high school. This recipe is from The Greens Cookbook. 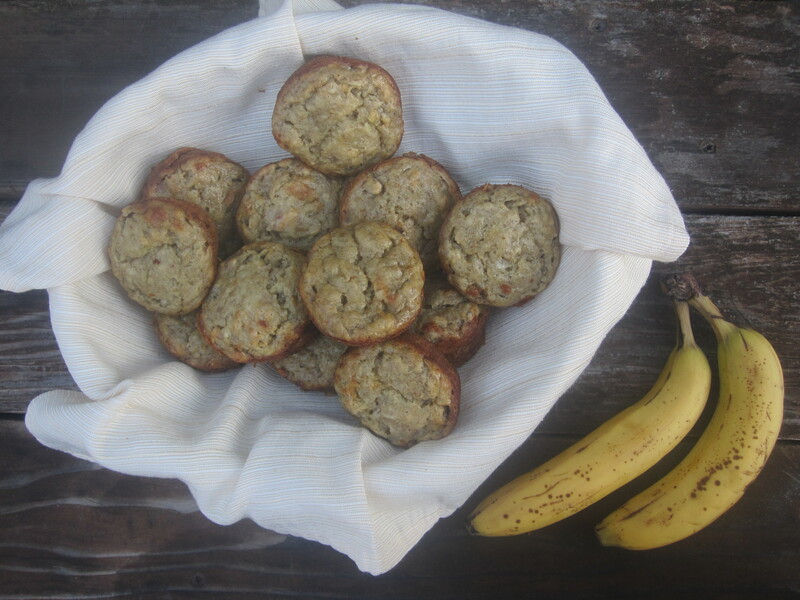 Though it is almost completely based on whole wheat flour, it has a very open, light texture. The bread slices and toasts very well. I used the first loaf for egg sandwiches, then sliced and froze the second for breakfast toast in the coming weeks. 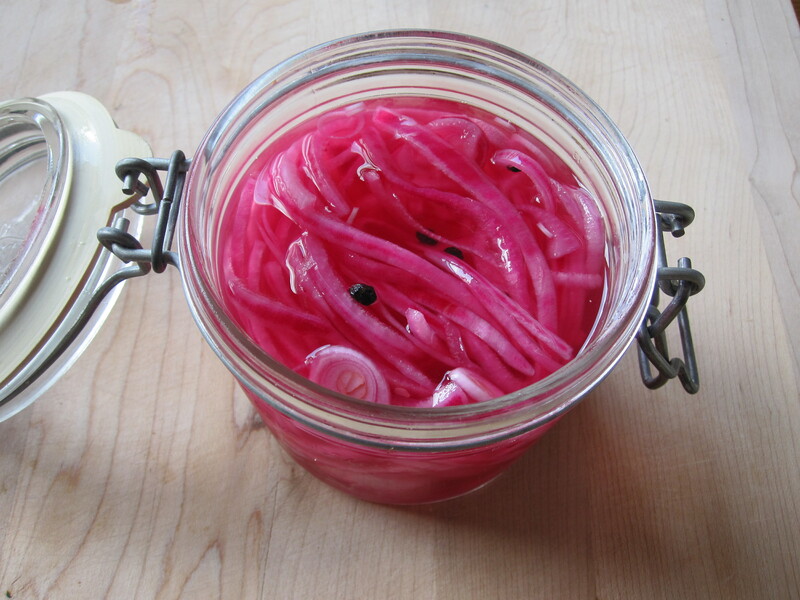 The Red Pickled Onions are also from The Greens Cookbook. They are very easy to make and take only a day to sit and cure. They are great with this sandwich, but also with sausages or any meal that you want to add a zippy condiment. Find this and other delicious breads at Yeast Spotting.